We thank the participants for generously giving up their time and sharing their experiences. We also thank Lisa Campbell, Sue Hohaia and Charlotte Manase for sharing their expertise and supporting the recruitment of participants. Jason Landon, Elizabeth Grayson and Amanda Roberts declare that they have no conflict of interest. For our research, we have an interest in people that are affected by a person they know who is a problem gambler. Because you have said that gambling affects you, we would like to chat to you about your experiences. We have a few questions in mind but what we are interested in is your experience (including feelings and opinions), so if you have things you wish to bring up please do so. If you feel uncomfortable talking about any issues and do not want to answer a question that just tell us that you wish to pass. What you tell me will not affect you getting assistance at Salvation Army-Oasis now or in the future. I would like to record this interview on a digital voice recorder and I will make notes occasionally to assist me later, is that ok? Can you tell me a bit about gambling in your family/whānau? What sort of gambling do you and/or your family/whānau participate in? Is gambling an important part of your family/whānau life? What are the good things about gambling for you? As you know, the questions you answered when you came to Salvation Army-Oasis indicated that you are affected by someone else’s gambling. Can you tell me how gambling has affected you and your family/whānau? I know that gambling can have impacts on people, and whilst it can be a struggle many people find ways to cope better with those effects. Do you find you need support—if so, who do you go to? What do they offer that you find helpful? What other things do you personally do to cope with the gambling problems? What other support do you think would be helpful for you? I know that in addition to gambling there are probably other problems in your life. How much of a problem is gambling for you? How often do you or your family/whānau miss out on something because of it? Can you tell me about an example? How often do you or your family/whānau benefit from it? What, if anything, would you like to change about your family/whānau’s gambling? Is there anything else you would like to mention about gambling and its effects on you? Thank you for your time today, I really appreciate you sharing your experiences with me; they are incredibly valuable, and we are very grateful. Landon, J., Palmer du Preez, K., Page, A., Bellringer, M., Roberts, A., & Abbott, M. (2016). Electronic gaming machine characteristics: it’s the little things that count. 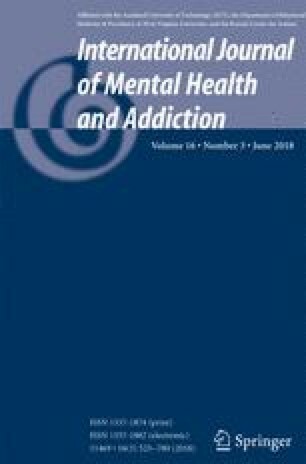 International Journal of Mental Health and Addiction. doi: 10.1007/s11469-016-9666-2. Rodda, S.N., Lubman, D.I., Dowling, N.A. & McCann, T.V. (2013). Reasons for using web-based counselling among family and friends impacted by problem gambling. Asian Journal of Gambling Issues and Public health, 3(12). doi: 10.1186/2195-3007-3-12.